We want every customer to be absolutely delighted with their diamonds from Towne Square Jewelers. Terry and Elena periodically travel to Antwerp, Belgium to replenish our inventory and find diamonds for customers who are having special engagement rings or custom jewelry pieces made. 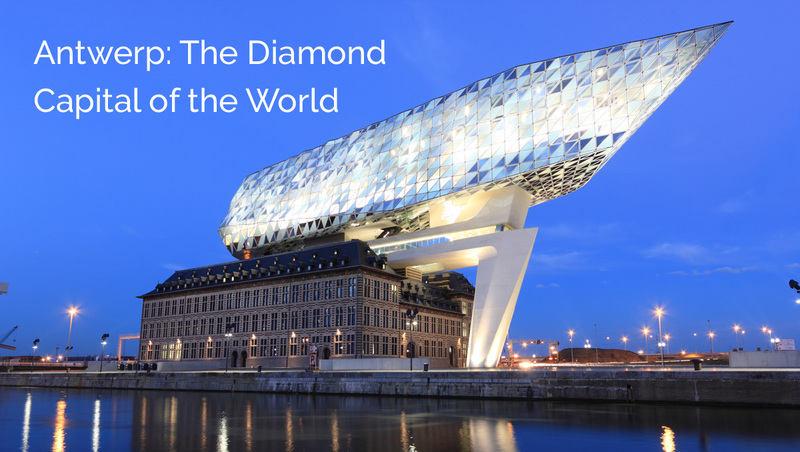 More than 80% of the world’s diamonds are cut, polished, and sold in Antwerp, earning this Belgium town the title of the Diamond Capital of the World. Antwerp's unique diamond market has a truly dazzling selection of diamonds of every cut, size, color, and clarity. We spend days sorting, sifting, and grading through parcels of diamonds, picking only the best for our customers. The best part of diamond shopping in Antwerp is the unbelievable pricing. Because we deal directly with the diamond cutters, no middlemen or brokers are involved. Purchasing a diamond from Antwerp that is hand-picked just for you is a very special and unique experience. While in Antwerp, we act as your personal shopper. We search for diamonds based on your specific criteria and price points. No order is too small or too large, and no special request is beyond the reach of our Antwerp suppliers. Pre-Order for April Trip We offer pre-orders if you want us to find a specific diamond just for you or your loved one. We search for diamonds based on your specific criteria and price points. No order is too small or too large. Please stop in and tell us about your perfect diamond and we will find it for you. If you’re interested in having Terry and Elena find diamonds for you during their upcoming April trip to Antwerp, just let us know. You can visit the store anytime, or call us at (217) 348-8340. How do we gain access to this exclusive diamond market? We are members of IJO, Independent Jewelers Organization. This is the largest jewelry buying group in the world, with over $900 million dollars in sales. They provide access and we, along with other IJO member stores, are welcomed into the cutting floors with open arms.